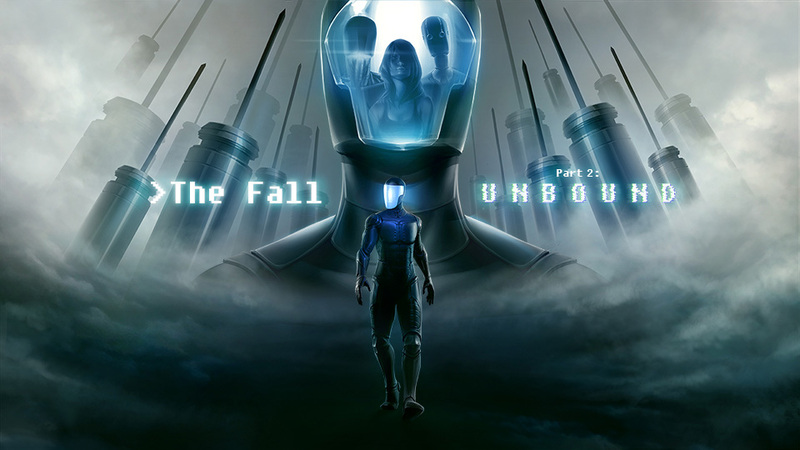 I’ve played a lot of games, and I mean a LOT, but it’s not every day you find a game that so interesting and fascinating that it completely surprises you and The Fall Part 2: Unbound is one such game. From the developers Over the Moon, The Fall Part 2: Unbound is an intriguing game about an Artificial Intelligence, trying to get to her body. A mysterious human person had tried to destroy her but, it didn’t work out. Her goal is to find her body and destroy the human who keeps launching attacks against on her and whilst all this is going on, it is all taking place inside a large network, with some missions seeing her enter our world. In order to find her body, she must seek out different AI so she can locate it, via the means of interrogation that doesn’t work out due to their programming. Honestly, I found the premise to be confusing as I hadn’t played The Fall Part 1, but I did find the setting and story to be intriguing, as it is done rather well in the way it plays out. It’s also awesome the fact it comes with a cinematic video to clue you in on previous events, before the events of Part 2 can unfold, thus ruling out the need to look it all up online, or having had played the original. Onto gameplay, there are two distinct “stages.” The first one is Metroid-like gameplay that has you exploring the network and finding different AI to interrogate and talk to. The second kind, is the one that fascinated me the most though since this is the one that has you take control of robots and try to break their cycle in order to have full control over them. Breaking their cycles isn’t easy and you’ve got to think real hard should you wish to succeed, but we’ll cover this in more detail later. Right now, I’m going to elaborate on the exploration a little more. In Metroid fashion, it has you exploring and gaining cool upgrades and assuming control over the body of the AI as she explores the network for clues, as to where her body could be. Of course, since you are disobeying your program, enemies are the representation of security measures intended to get in your way, but thanks to the upgrades, the won’t stand in your way forever. Visually, these segments are remarkable in their use the various black shading and a contrasting white, which just comes across brilliantly and is something the developers deserve praising for. The main flaws, however, lie within the stages themselves. They are often bland, and not really interesting, as it’s just exploring, with a partially boring environment behind it. A redeeming quality, however, is that these stages have a lot of lore to them with info scattered all around them, to help players better understand the world around them. Furthermore, they can be fun, even if the combat is hard due to the controls and an energy bar that limits your projectiles and movement. The next mode of play, however, is remarkable. You’re first treated to the entire cycle in which you take control of the robot and see how their cycle goes. Then, you interrogate the robot, to get clues as to how to break the cycle. After that, you’re left to redo the cycle over and over, but there’s a catch. In order to have full control over the robot, you must find a way to break the cycle. What that means is performing certain actions that will cause the robot to break its routine. To break the cycle and access certain areas that unavailable to you at the time, you will need to observe and interact with the environment to change certain things, thus allowing you to disturb and change the program of the robot. Once you’ve manipulated the robot to access the area you need to reach and perform its task (one example being locating your body, using an advanced search system). Something I do have to say though, regarding this process, is that series of puzzles do require some originality, cleverness and careful environment analysis, to figure them out, but it makes for a promising section that the developers have lovingly created. I love original stuff like this and no one could reproduce it. It can be hard as you really need to think and observe every single thing in the environment. I have to admit, even though I’m used to puzzle-solving, thanks to games like Zelda, The Fall Part 2’s puzzles completely caught me off guard and that’s a good thing, as you learn each time you do one and have to adapt to solve the later ones that are longer and harder. But that’s ok, as they’re still a lot of fun, much like The Fall Part 2: Unbound is, all over. Whether you’re exploring the world in Metroid-like manner, or breaking cycles in the unique gameplay, The Fall Part 2: Unbound delivers a brilliant package that’s worth the price of admission. The only problem is the exploration part which is deceiving due to poor controls and an uninteresting world. The breaking the cycle gameplay is amazing and unique. There’s nothing quite like it and its fun. The lore is both interesting and fascinating and will leave you baffled. Just be prepared as the main event and highlight of The Fall Part 2: Unbound, is the cycle breaking which requires thinking, but if you’re a fan of that kind of gameplay, then you’re in for a treat! Did you enjoy our The Fall Part 2: Unbound Review? If you would like to read more of our Nintendo Switch Reviews, feel free to check them out here.